If your current mutual fund portfolio is not performing up to mark or or you are still struggling to make your first investment list of best Mutual Funds to Invest in 2013 may help you. It is hard to predict the direction of the markets, but we are here with few schemes for 2013 based on their past performance and the management team’s proven ability to deliver in both good and bad times. This scheme is for risk-takers. The scheme is risky in the sense that it is not mandated to follow its benchmark portfolio fully. But having said that, the SBI Magnum Emerging Businesses scheme has rewarded risk-takers handsomely, especially over the past three years, irrespective of the market conditions. We expect this scheme in the mid-cap category to continue to do well even in the year ahead. One of the oldest schemes in the Indian mutual fund industry, HDFC Equity is among the most consistent performers in the multi-cap segment. Given its track record of performing well in both bullish as well as bearish markets, HDFC Equity could be an apt multi-cap investment option for 2013 as well. Investors may have to say good-bye to tax-saving mutual fund schemes if the provisions of the Direct Tax Code, in its current avatar, come into force next year. However, till then, putting away some money in tax-saving schemes ought to be one of the most preferred investment options for tax-savvy investors. Our pick in this segment for 2013 is ICICI Prudential Tax Plan, as this scheme has shown its mettle in choppy markets as well as during an upturn. The grandfather scheme of Indian mutual funds, Franklin India Bluechip is a scheme for the most conservative investors. Given its mandate of not taking undue risk, the scheme has succeeded in generating reasonable returns consistently for its investors for almost two decades now. This scheme may not generate stupendous returns if the markets were to witness a 2007 kind of rally again. However, expect your money to be safe in the event of any unprecedented volatility. Although a balanced scheme, HDFC Prudence’s performance track record can put some of the diversifi ed equity schemes to shame. Despite exposure to both debt and equity, HDFC Prudence has time and again delivered superior returns than many other equity schemes. Investors who loath to take a high exposure to equity can invest in this balanced scheme and enjoy returns that are usually associated more with equity schemes. I must quickly add that when you choose from the top mutual funds to invest in 2013 in India, it in the best interest of investors to go for the systematic investment planning route of mutual funds while investing in the stock markets. You must avoid the lump sum and one time route unless until it is used for the systematic transfer plan where in you want to park money in liquid mutual funds and then move them to equity diversified funds. Also ensure that you move out and in mutual funds in a systematic manner and not pull out all your money in one go when you want to sell and invest. As per your article and other advises from around me i want to start investing in MFS with a small SIP Rs. 5000 per month. I have other investments in equity markets and Banking FD’s. Am a first time investor in MF am 27 years married with a Kid and earn about 10 lacs per annum. Horizion for investment is between 5 to 10 years looking forward with a goal of earning 10% per annum with a medium risk taking capacity on my choices please correct me if am wrong anywhere. Await your feeds and suggestions want to start it asap. 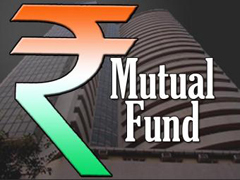 I would request instead of investing 5 diffrent mutual funds please make investment in only 3 mutual funds. Looking at past performance of fund you will get 10-11% return.